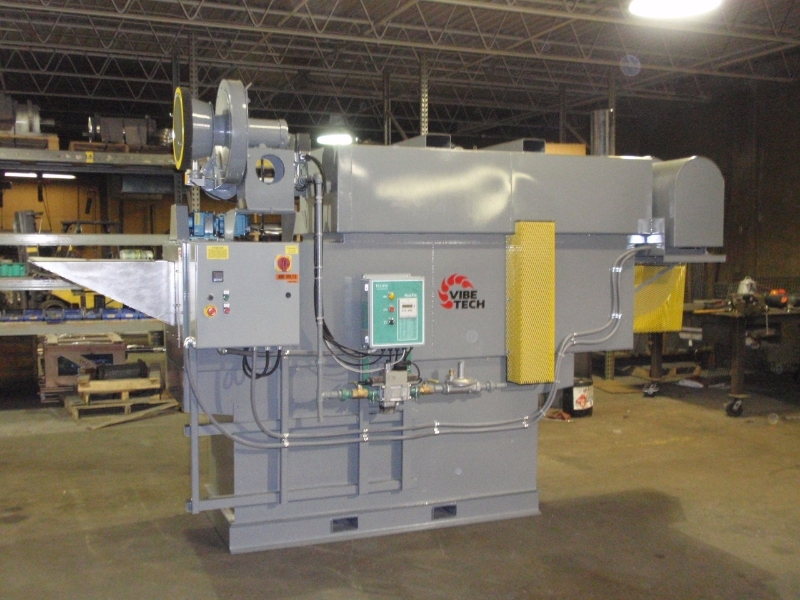 Rodeco can fit you for the right piece of industrial parts washing equipment to keep up with your needs and increase production demands without increasing your labor force… so you can focus more resources on quality control. 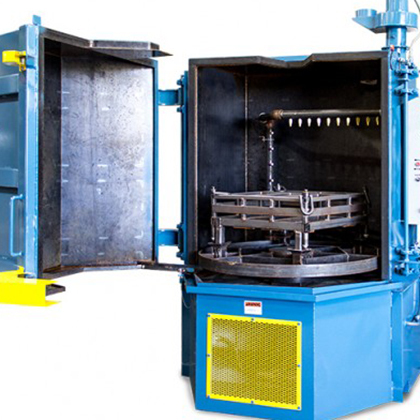 Connect with one of our professionals to find the right machine for your industrial parts washing specifications. 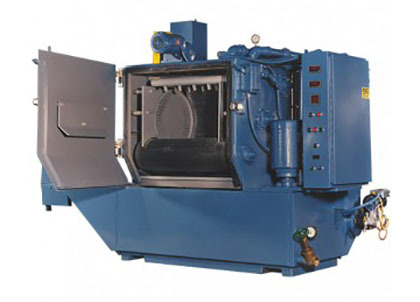 For smaller parts that need to be aqueous washed or dried, rotary drum style washer / dryers are an ideal solution. 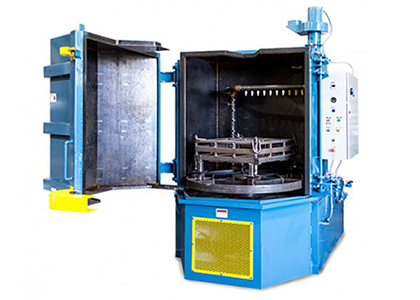 As small parts have a tendency to get jammed in standard belt washers and rotary washers feature a drum whose only openings are a series of small perforations, parts are effectively processed without becoming trapped. Parts are loaded into the drum’s opening and, as the drum rotates, a series of flights push the parts through the machine. By allowing for different drum lengths and diameters, VibeTech’s rotary drums allow you to tailor your process times and variations. 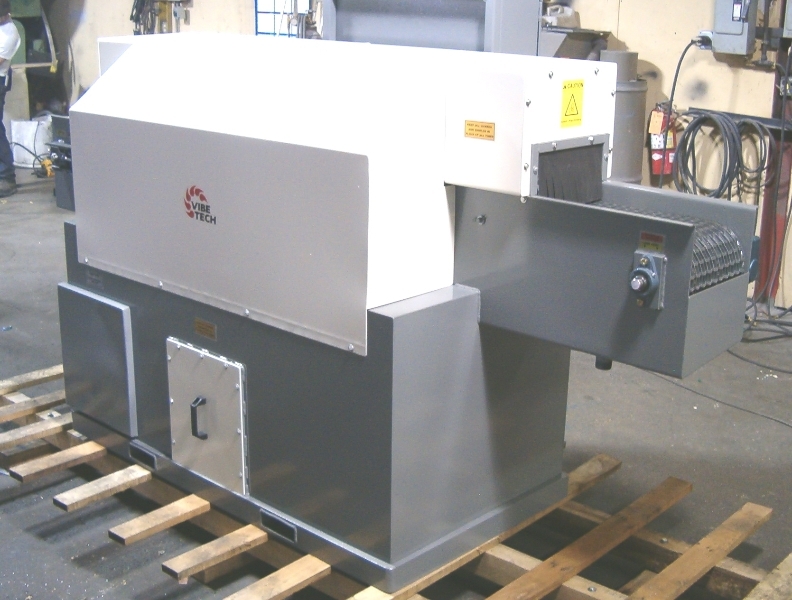 Included standard with every rotary drum washer / dryer are control panels, heat controls, variable speed drives, high quality load runners, drip pan, fork pockets, an insulated hood assembly and a stainless steel drum and auger. Beyond that, many options are available to customize your washer’s process and materials. 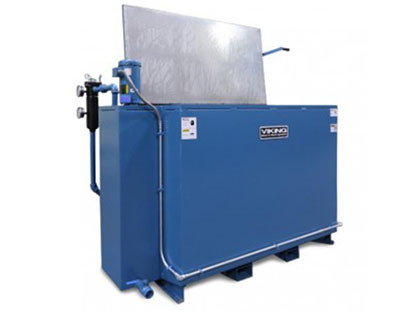 One of the most versatile aqueous wash systems that can be used for large or small parts in mild to heavy duty cleaning. Designed 40 years ago for engine block and head cleaning it has become a unit well suited for all industrial markets where immersion cleaning us preferred. 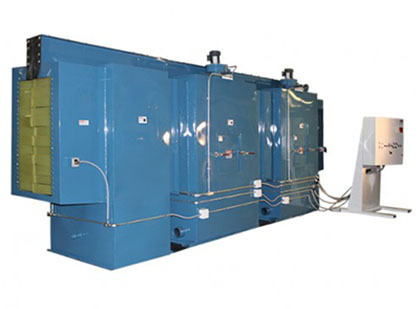 These agitating tanks can be customized to receive air agitation in addition to the standard agitation equipment, canister filtration or other special features. 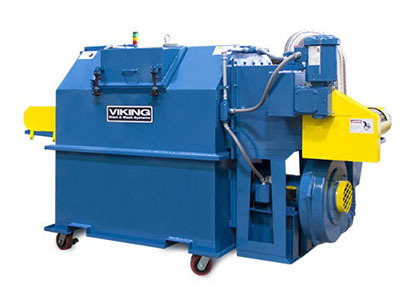 In line cleaning with your manufacturing or painting line is highly cost effective and Viking’s line of pass through systems can be custom engineered to production requirements. 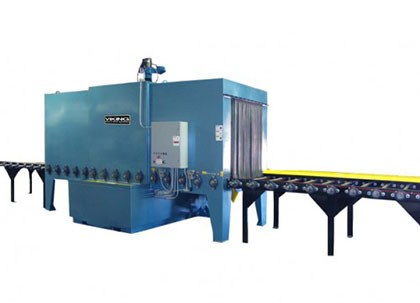 Most pass though wash units are custom in size and features and can be optioned with phosphatizing, rinsing, and drying systems. 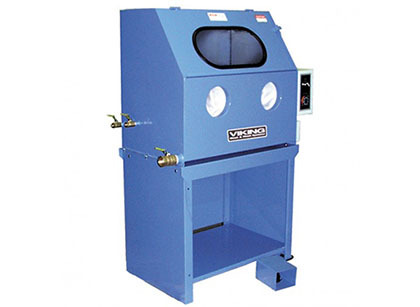 Tumble washers are highly versatile for small parts to be cleaned in batches. Totes are the typical feed or receiving method, but conveyor load and take away is also possible. CONNECT WITH A RODECO PROFESSIONAL TO HELP DEVELOP YOUR PROCESS AND FIND THE RIGHT MACHINE FOR YOUR INDUSTRIAL PARTS WASHING SPECIFICATIONS. From floor cleaners and other wash compounds to high-end finishing compounds, when you have a need for any type of parts washing, degreasing or finishing, Rodeco has the solution. Everyone has a different need depending on their processes, so contact us today for the right fit.